Attorney General William Barr’s letter to Congress is carefully drafted, even lawyerly. It is a pithy summary of what may be a lengthy report by special counsel Robert Mueller. But it was only about the bottom line — Mueller’s ultimate conclusions about whether the president or the Trump campaign conspired with the Russians to interfere with the 2016 presidential elections or obstructed justice. The result: no criminal conspiracy with the Russians. But on obstruction of justice, Mueller was wishy-washy, according to Barr’s letter. The evidence “did not exonerate” Trump. Mueller left that finding to the attorney general and the deputy attorney general, and they found there was not enough evidence. The devil is in the details — in the details of the report, over two years in the making. Trump’s actions, even if they fall short of crimes, could bear on his fitness for office, and may be impeachable. The bar for a criminal prosecution is high, as it should be. A prosecutor has to consider the nature of the defendant’s intent, and whether a jury would find that intent beyond a reasonable doubt. Conspiracy, as the Barr letter quotes and any law student would recite, requires an agreement, tacit or express, between the Trump campaign and the Russian government to interfere in the election. Compare this to former FBI chief James Comey’s finding about Hillary Clinton: that she was “extremely careless” with respect to her use of a private e-mail server. “Extremely careless” is not criminal, notwithstanding the Republicans’ “lock her up’’ drumbeat. What would a criminal conspiracy look like? The prototype would be evidence of an agreement between the Trump campaign and the Russians, before the hacking or afterward, to disseminate hacked information, or an agreement to reward Russian interference by changing the Republican platform on Ukraine or lifting sanctions. Of course, there didn’t have to be direct evidence — Trump overheard on the phone, an e-mail from a Trump agent to a Russian operative, etc. Circumstantial evidence — indirect evidence that allows a decision maker to infer that there was an agreement — could have sufficed. Conspiracy prosecutions rarely involve direct evidence of an agreement. Other criminal theories could have applied — knowingly using illegal information, for one. In an investigation of this importance, I assume that Mueller wanted to be especially careful — more than the ordinary prosecutor — about using circumstantial evidence or creative prosecution theories. What devil is in the details here? Barr’s letter refers to multiple offers from Russian affiliated individuals to assist the campaign — the 2016 Trump Tower meeting comes to mind — offers that were apparently not accepted. Did Trump or his campaign exploit what the Russians did after the fact, without regard for the implications of using stolen Russian information? Did they take advantage of Russian illegal acts in its public statements or its strategy? Did they reward the Russians for their help afterward, in seeking to lift the sanctions — even if they had not agreed beforehand? Did they aid Russian interference by rejecting intelligence reports and lying about Russian contacts? What does this say about Trump’s understanding of the dangers of incentivizing an adversary to interfere in future elections? Not a crime perhaps, but wrong. And finally, what information was generated by this investigation that would figure into criminal prosecutions involving other campaign officials, Trump, or Trump family members in New York or Virginia? Leaving the obstruction of justice decision to Rosenstein and Barr is problematic on many levels. If neither Trump nor the campaign were involved in an underling conspiracy, the letter suggests, this could not have been the “corrupt intent’’ behind Trump’s obstruction. Without that intent, there was no crime — an extraordinarily crabbed view of the law. Trump could well have been motivated to obstruct because he feared evidence would come out about other alleged crimes committed by himself, his family, or his cronies. More troubling, Barr had famously weighed in on this question while a private citizen; the obstruction inquiry was “fatally misconceived,” he said. The obstruction conclusion, just like the conspiracy conclusion, was made without interviewing Trump. Although justified by US v. Nixon in 1974 and Clinton v. Jones in 1997, a subpoena is something Trump would have fought all the way to a now transformed Supreme Court. So let’s take a pause in the breathless coverage of the Mueller investigation. 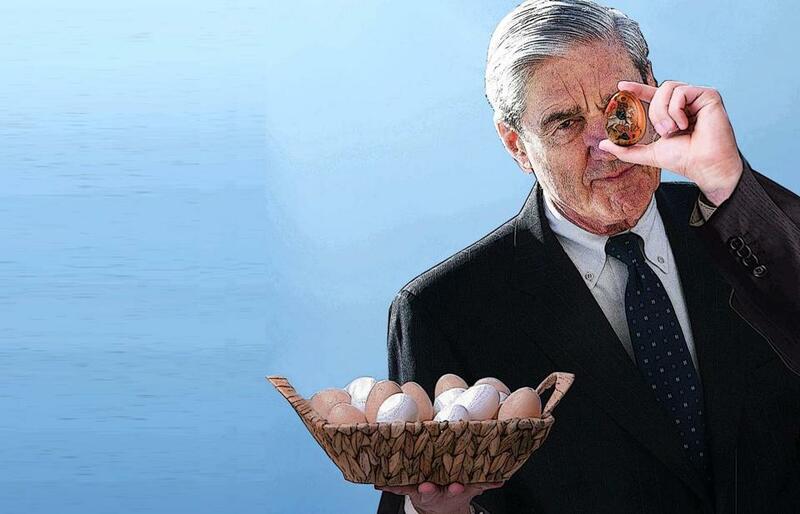 Mueller understood the implications of his mission. He would not do thoughtlessly what Trump has threatened — namely, criminalize the acts of political opponents willy-nilly. He would focus the inquiry, even if far too narrowly. He would leave other inquiries to the political branches and other jurisdictions. It was hardly a witch hunt, Mr. President. But, then again, it is hardly over.